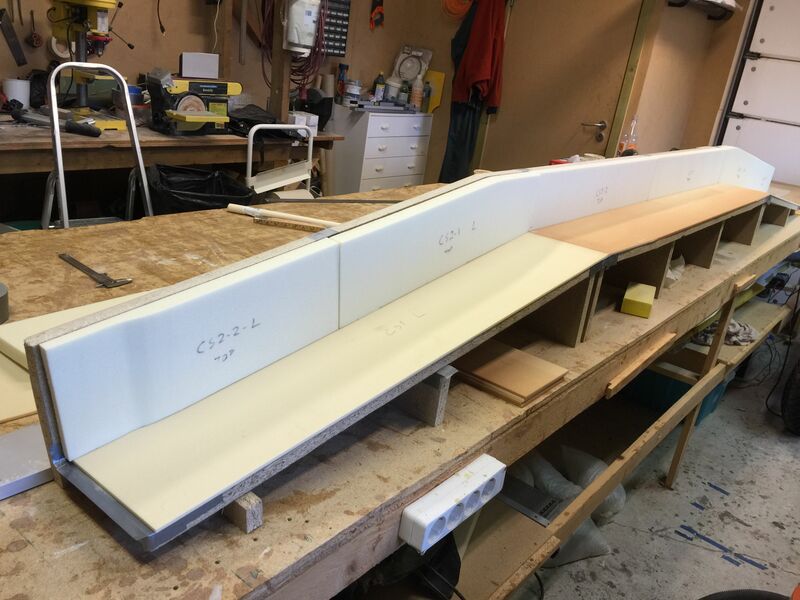 2015-03-29: Cut out the foam according to the plans. Testfit into the jig. 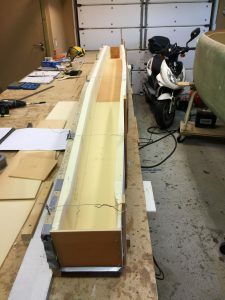 The plans are a bit confusing as the jig has the spar with the aft side down, but the plans refers to the spar as mounted in the plane. That means that when the plans says top of the spar, it’s actually the front (of the jig), or the upright part (vertical). The part facing down in the jig is the aft part of the spar. I got confused a while, but after I understood that the TOP of the spar is absolutely straight (and as I still know that down is aft!) I managed to see the whole picture. 2015-03-29: The foam is microed together and set to cure.